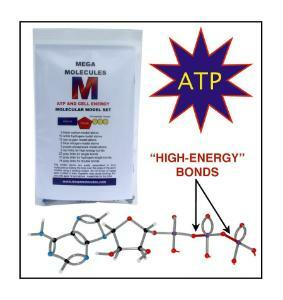 ATP transports chemical energy within cells for metabolism. One molecule of ATP contains three phosphate groups, and it is produced from inorganic phosphate and adenosine diphosphate (ADP) or adenosine monophosphate (AMP). Red Links are used to simulate the high-energy phosphate bonds. 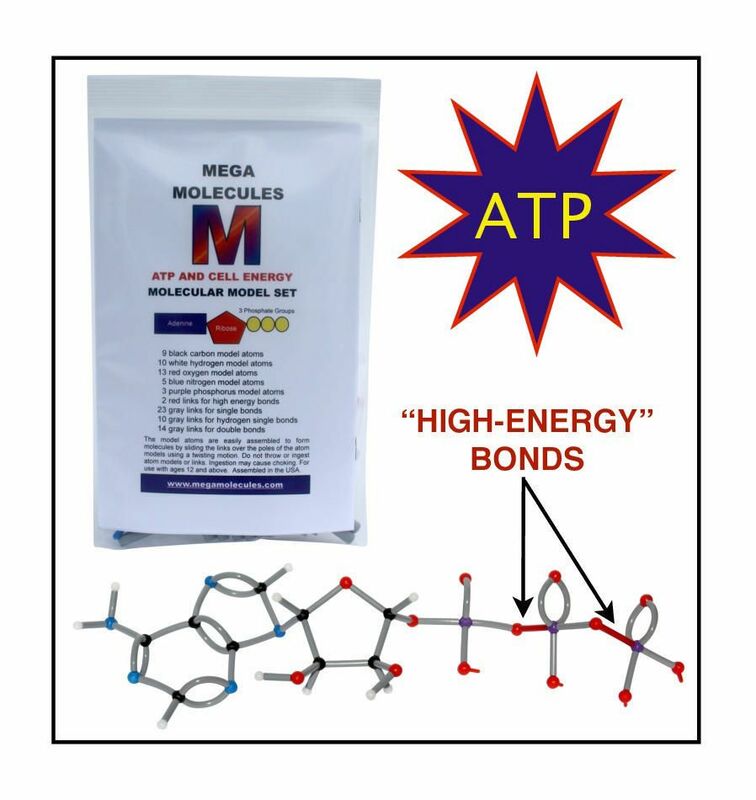 This model may be used to illustrate that metabolic processes use ATP as an energy source and convert it back into organic phosphate and ADP.